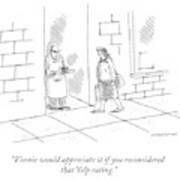 Description: Man in alley holding pancakes and trying to get a passerby’s attention. 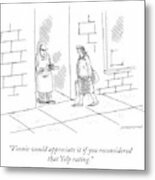 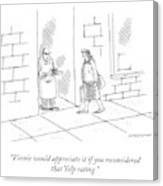 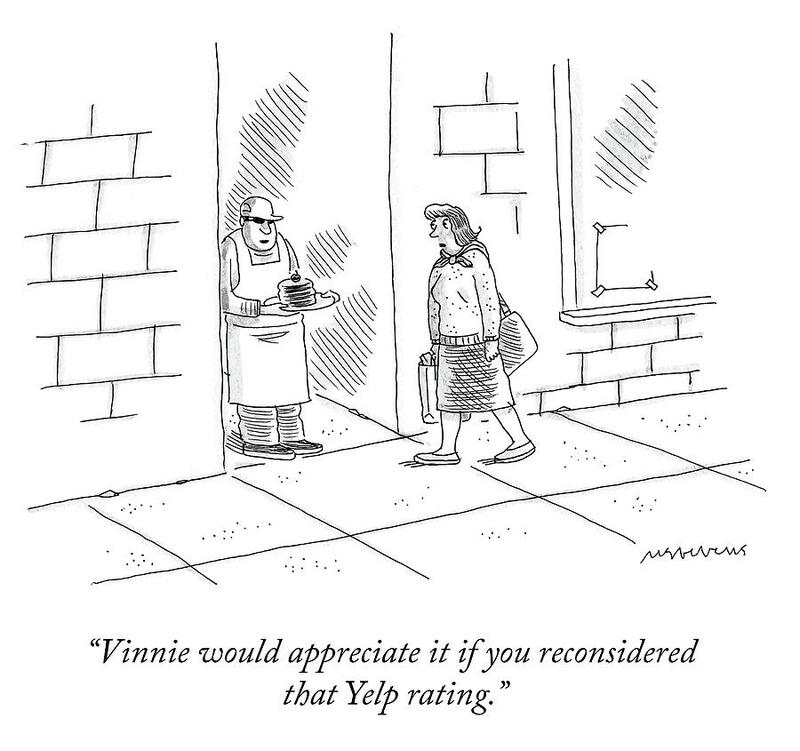 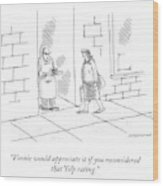 Caption: "Vinnie would appreciate it if you reconsidered that Yelp rating." 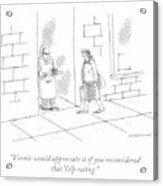 Winning caption submitted by Peter Skuts, Los Angeles, Calif.